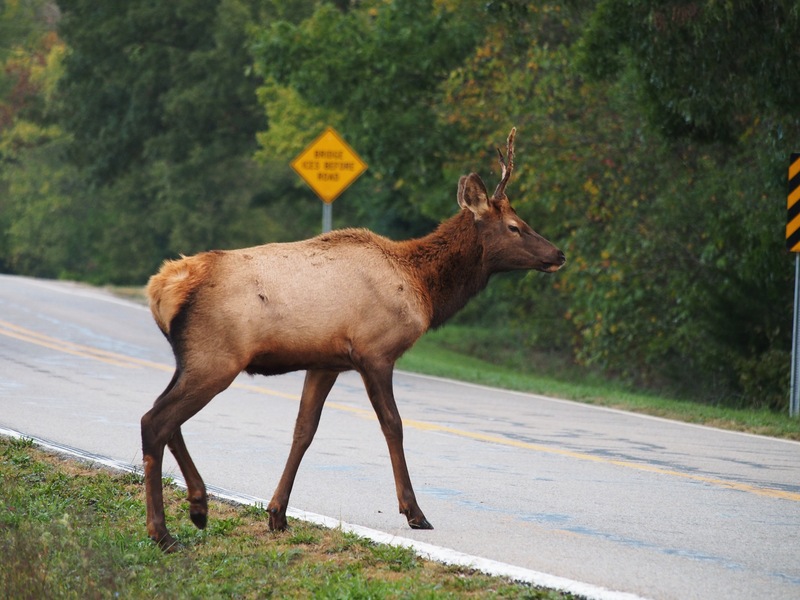 Why Did the Elk Cross the Road? Can’t I eat my meal in peace? Do I need to call security? 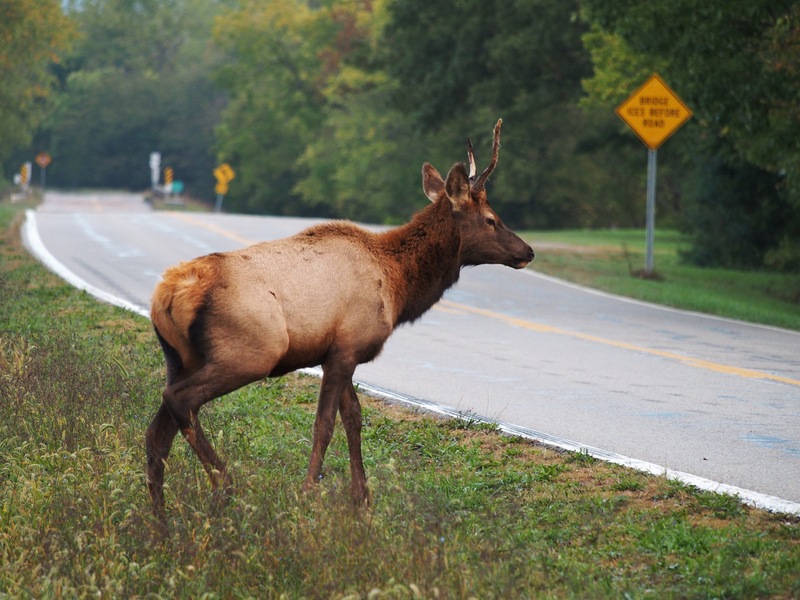 Why did the elk cross the road? To escape the paparazzi. 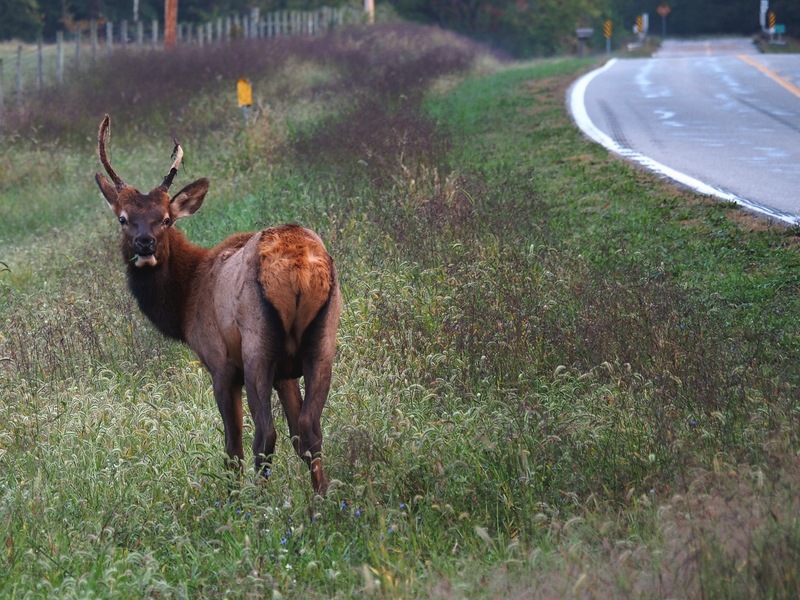 This entry was posted in Ozarks, Photography, wildlife and tagged Boxley Valley, elk, Olympus, Olympus E-M5, Ozarks, photography, wildlife by artsifrtsy. Bookmark the permalink. 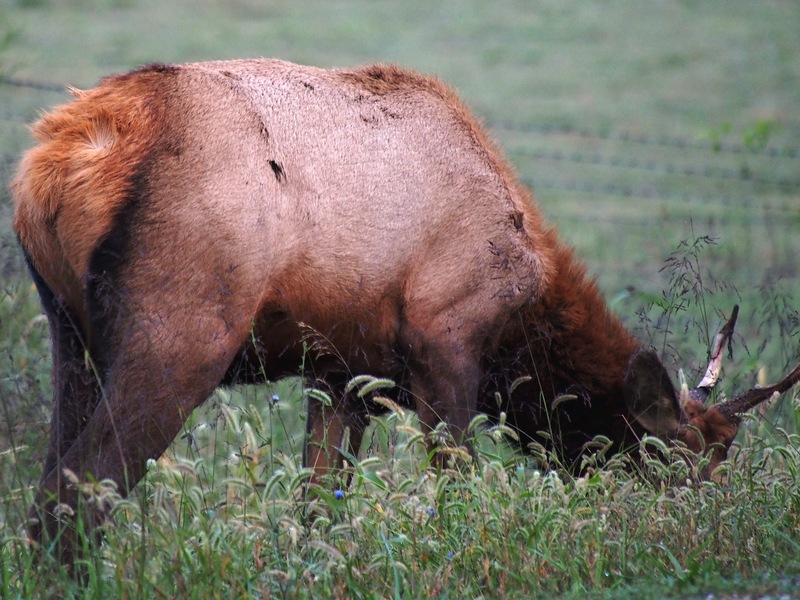 The grass was greener on the other side or maybe there was a lady elk over there – ha! Great Photos! LOL – it’s all about greener pastures! Thanks! Thanks! 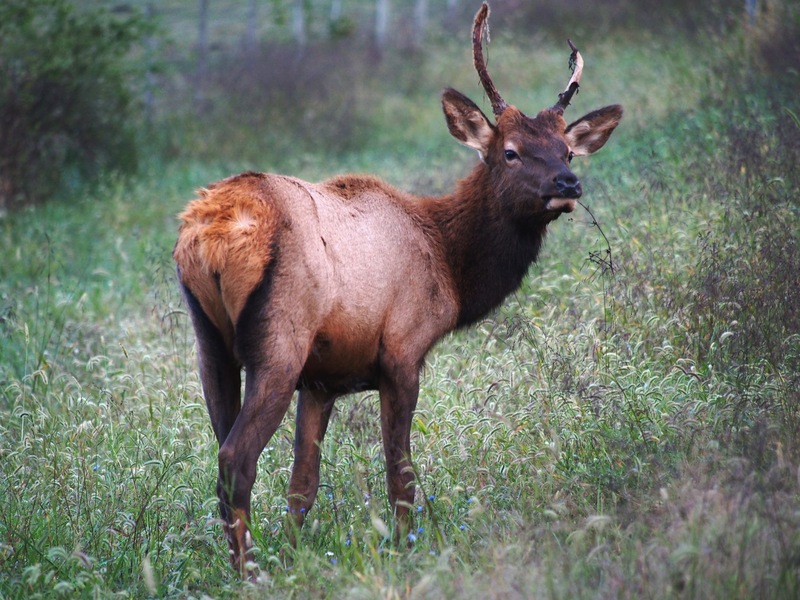 These elk own the valley – we are just a temporary distraction. 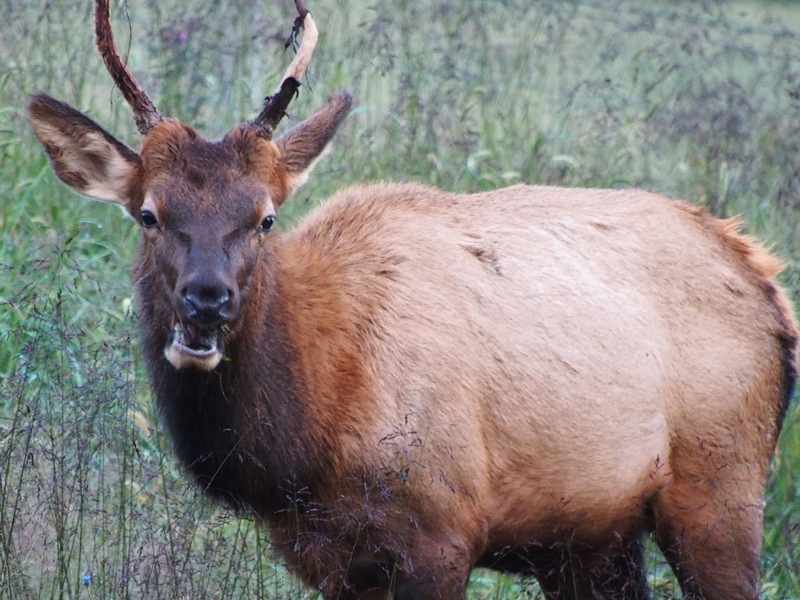 The reason this guy bolted was that someone pulled up in a truck right next to him rather than pulling off and hiking up to where I was (my pet peeve) he was happy to stick around until he was crowded. I was probably 20 feet from him. Thanks – I have one I need to post where I was shooting over a berm and caught sight of another photog. again…wonderful shots! you are always in the right place at the right time! awesome! Thanks – The right place and time was about 5:30 this morning scouting the valley:) They are out for about an hour after sunrise. Have you been to Boxley? It’s stunning. I don’t think so! But I need to go. 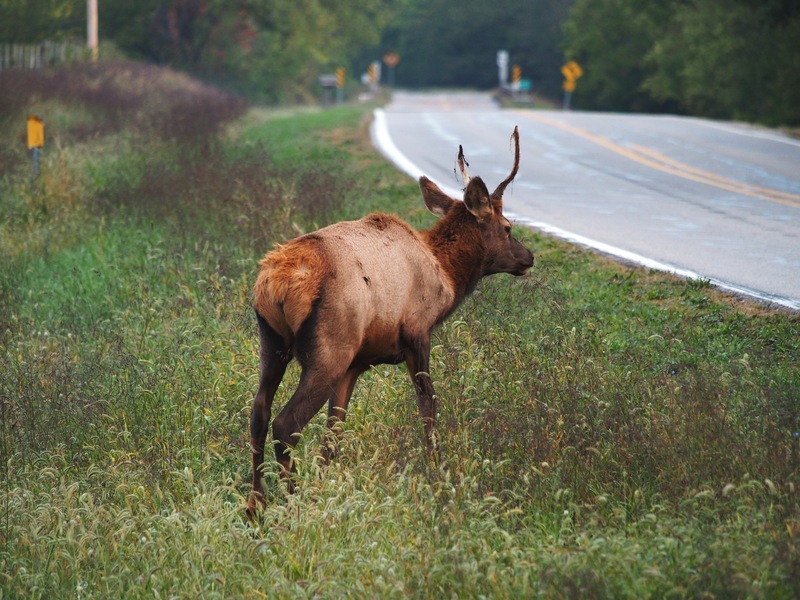 It’s really a beautiful place, old barns, elk, deer, the Buffalo River – you should go! Haha – These guys are just so unimpressed with humans – we are of no consequence – it’s pretty easy to get shots of them.